The Silver package moves up a gear with a bigger firing station incorporated into the display, this expands the show to an awe inspiring, sky filling finale which will be the talk of your guests. 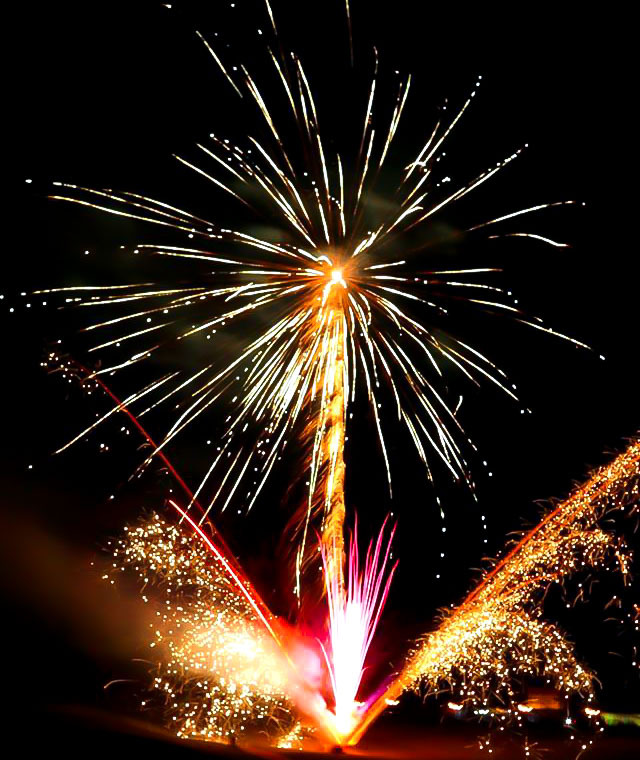 The majority of the display will incorporate beautiful fanned out symmetrical fireworks, creating a magical scene in colours that can be chosen to compliment your wedding colour scheme. Choose any of the display's and enhance the overall impact with one of our 'bolt on' extras.